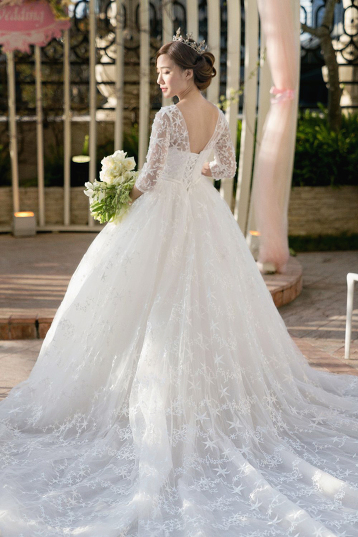 This romantic laced gown from Sophie Design featuring starry detailing is fit for a modern princess! Just like the stars shine in the sky, you shine in my life. 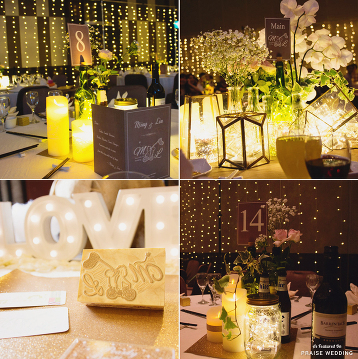 So in love with this creative and enchanted wedding decoration! Can’t think of a wedding theme? Incoporate your hobbies! 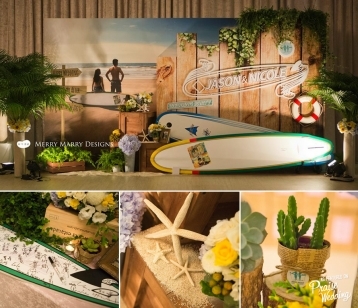 This creative surfing themed wedding certainly brings the beach indoors!